If you’re thinking about building a new home, you’re probably curious about the different stages of new home construction. What can you expect throughout the process? When will your home be finished? When you work with Simplicity Homes, here’s a look at what you can expect along the way. The first stage of the new home construction process is to prepare construction for the home, dig out the space where the home will be, and lay the foundation. This is the first time that you may be able to understand your new home in a visual way – the foundation will give you a good idea of where your home vs. yard will be, and how much space you’re working with. Framing is one of the more exciting parts of the new home construction process because this is where your dream home starts to take shape. When framing is complete, you’ll be able to walk through the rooms of your house, show your kids which bedrooms will be theirs, make plans for where you’ll put what, and more. Even though walls aren’t up at this point, framing still allows you to picture the finished product. Stage three is where many of the really important installations get done, including plumbing, mechanical features, and all electrical wiring. This is where the walls of your new house go up. The framing is already in place; walls are insulated for sound and temperature, and then drywall is put on top to create walls between your rooms. At this point, your dream home is really taking shape and looking more complete. This is the last stage in the homebuilding process – the finishing touches on the exterior a nd interior, which usually means paint, vinyl, counter tops, cabinets, and the like. If you have picked out any custom touches, this is where they will be added. Once this is complete, your new home is ready to move into! Now, you need to start preparing to move in and decorate. At Simplicity Homes, we are a homebuilder you can trust. Our professionals work throughout the Northwest, and have homes for sale in Idaho, Oregon, and Washington. We work quickly to get your home completed, and never sacrifice quality. If you’re buying your first home (or your second or third) and want a custom-made home with state-of-the-art features, we can help. 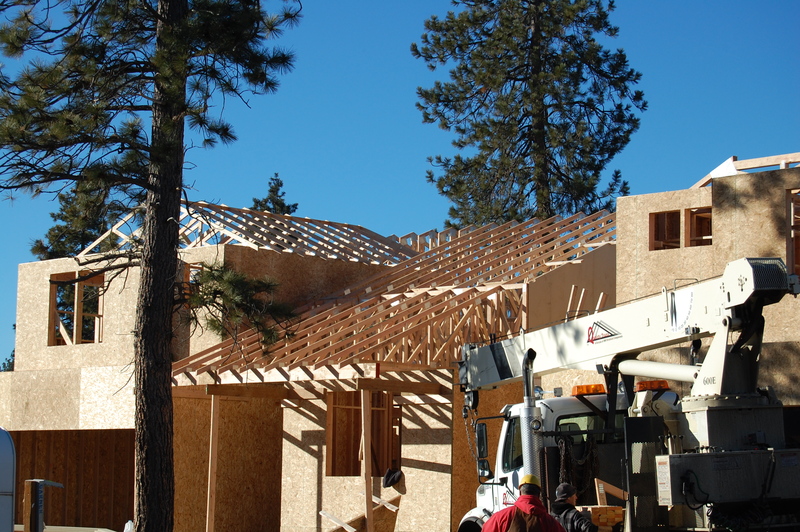 To learn more about our homebuilding process and how to get started, reach out to us today. We look forward to helping you get moved into the home of your dreams!